A Team name, an ethos for racing, training commitments, trips to Tatem Park to skate with others, Richmond park for hills, Hillingdon Cycle circuit for laps and changes.. Things evolve, confidence builds.. 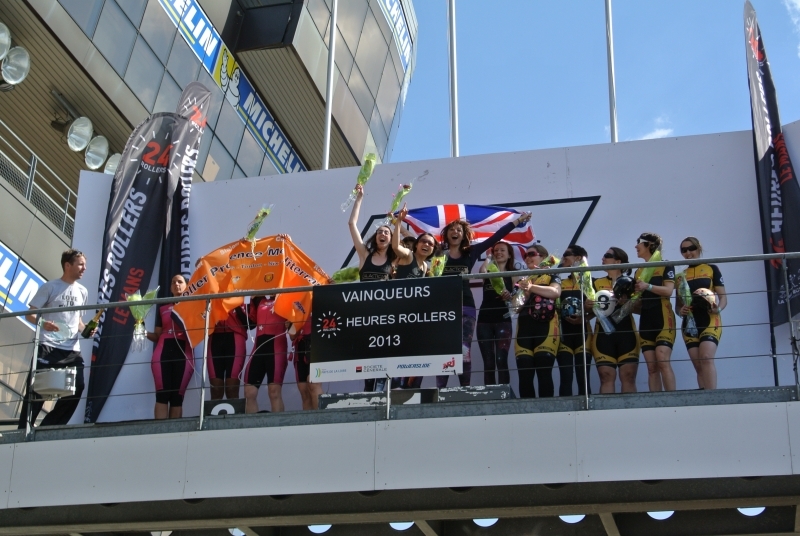 The “London Mayhem” project was conceived in November 2012 with the aim of having a fun Le Mans experience with a close-knit bunch of friends. This was clearly evident by the pre-event meetings in venues such as the The Victoria and The Mitre pubs (carb loading), as well as the infamous Nandos (protein!). However, someone’s definition of fun took a wrong turn when the suggestion of training was put forward, and so the hill repeats and relay changeover practices were a regular feature in the Mayhem plan. 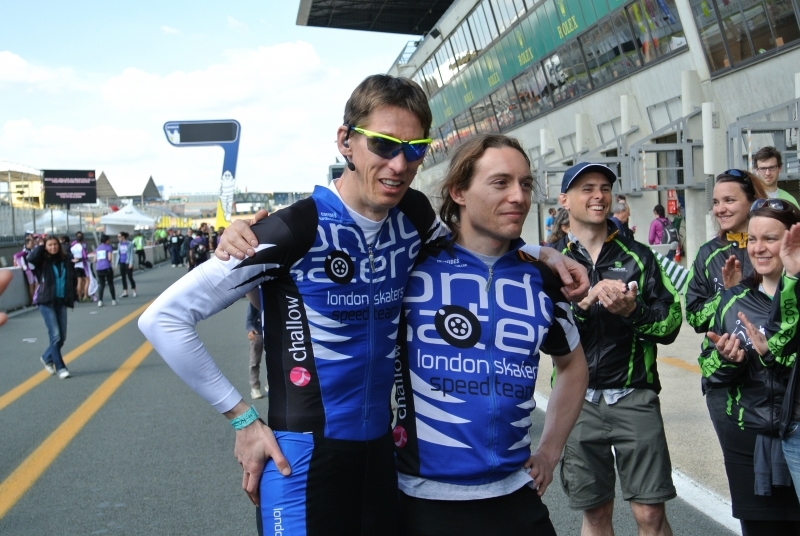 Arriving at the Le Mans track on Saturday morning brought with it the buzz and excitement tenfold of what was had in London. The pit boxes were busy with people setting up and getting their gear together and skaters warming up, rolling up and down the pit lane ahead of what turned out to be a soggy qualifying sprint. Fortunately, as the race kicked off in the afternoon, the track had pretty much dried up. Fortunately for a few of the London Mayhem team, a few hours training at Richmond beforehand helped with the climb up the now infamous hill. It was grueling at times, however there were no excuses when the likes of a few of our more serious London colleagues were busy with their solo performances. As with any Inline skate racing; catching a draft is the way to go – and if you’re lucky enough to get on the “Sparky’ wagon, or close behind any of the other London speedsters, then it’s a breeze making your way around. This year there weren’t as many people as in previous years, possibly because of the date change, (Usually the event is at the end of June) which meant there weren’t as many good drafts as some of us were used to. This did lead however to getting a good workout. 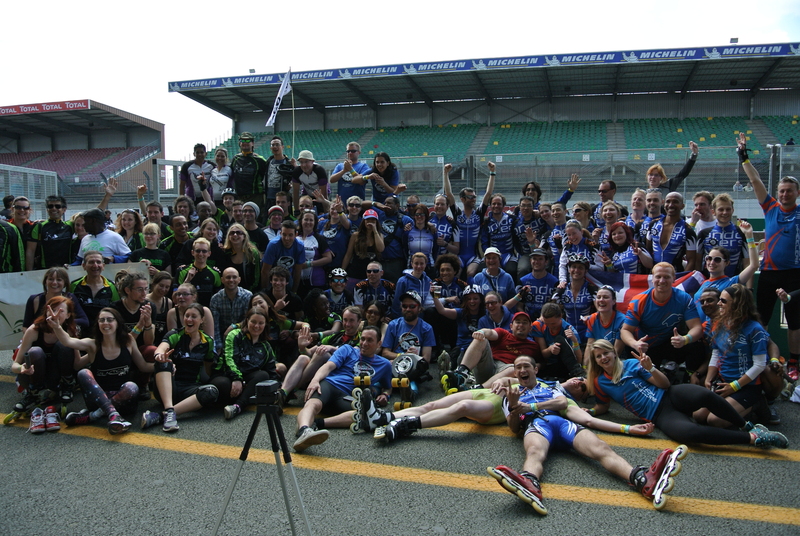 The next 24 hours for the London Mayhem team saw personal bests being broken, a clear epiphany that skin-tight lycra bottoms trump baggy shorts and working together with the other UK teams on the track is just as much fun as chasing you very own personal best lap time. A very chilly Saturday night, surprisingly quickly became a foggy Sunday morning and then a bright and sunny Sunday afternoon. And so after 24hrs of “where’s my helmet?” “Liya, how long till you need me back on the track?” It was over for another year. Would we change it? do it differently? No, I don’t think so.. Not for 2013.. We set out to have fun, and so we did and most importantly of all our great team spirit held throughout! 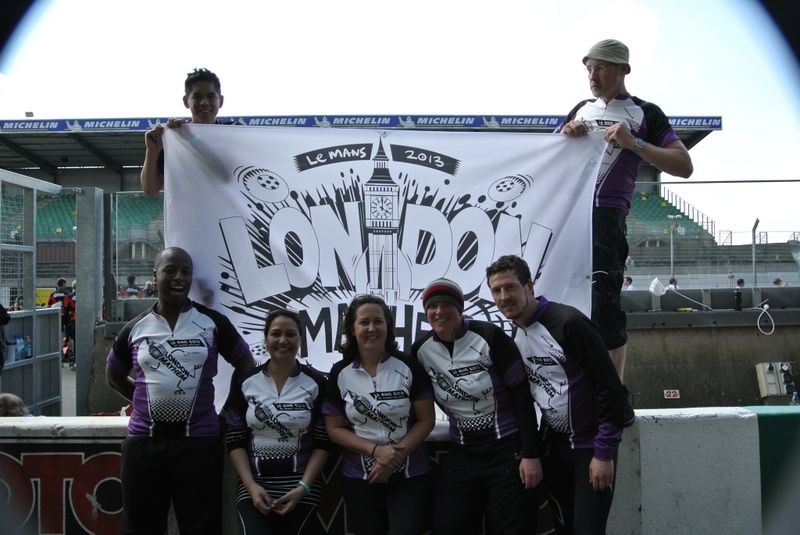 The London Mayhem team placed 112th scratch, 59th in category, with 131 laps completed covering a distance of 548.2km. Roll on 2014! 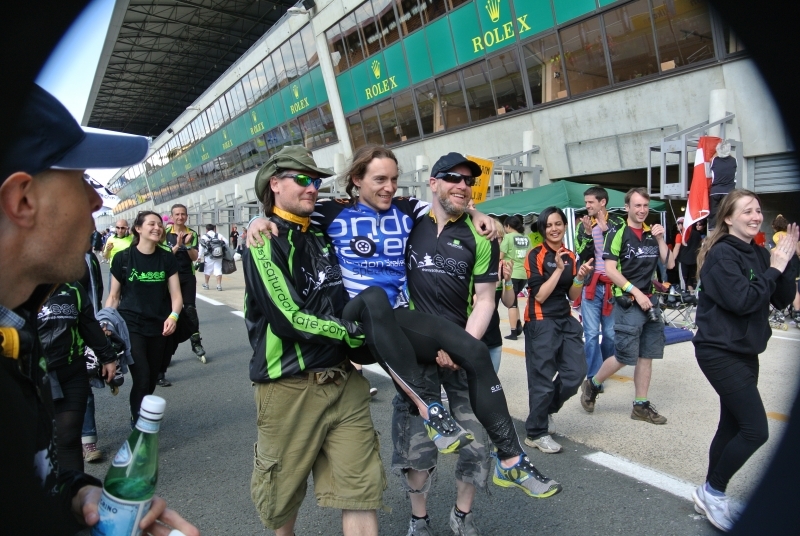 Er… Who fancies going to Le Mans?